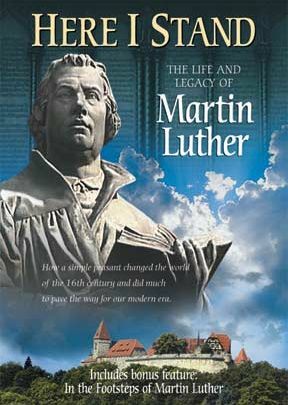 Here I Stand: Martin Luther is a superbly produced, enthusiastically recommended, 192-minute, full color documentary on the life, work, and historical impact of Protestant Reformation leader Martin Luther. 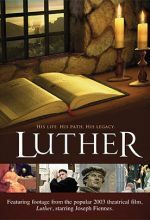 This informed and informative DVD production is divided into two parts: Luther’s Life (70 minutes) and Luther’s Legacy (60 minutes). Martin Luther, who began his ecclesiastical career as a German cleric of the Roman Catholic Church, never wanted to be a famous religious leader and challenger to the dominance of the Catholic Church. Indeed, he had entered a monastery to get away from the world and seek his own private salvation. But in seeking that salvation he began to study the Bible and felt compelled to call what he perceived as the corruptions of the Church of Rome to account. He challenged the prevailing medieval assumptions concerning religious authority, the nature of God, how Christians (including the clergy) should comport themselves, and how God brings salvation to men, women, and children. Although also available in a VHS format, the DVD format features a bonus: In the Footsteps of Martin Luther.